There can only be one story to top the Daily: Wanda Cinema Line being denied an IPO at the Shenzhen stock exchange by Chinese regulators. The reason given was insufficient documentation. It is far from alone to have suffered this ignominy as China Securities Regulatory Commission have rejected 597 out of 637 applications as of the half-year mark, with only 40 approved. THR’s Cliff coonan has done a terrific job of summarising the details, so I won’t rehash them. Read his article instead first. But Hong Kong is not as attractive a proxy stock exchange for China as it once was. Expect there to be furious courting by Singapore’s stock exchange going on right now. And if not Asia? New York is most likely out because AMC is already listed there and it would look strange and create problems to have two related yet separate cinema companies on the same exchange. My bet is London if Wanda decided to look outside of its own territory. It is important to remember that Wanda has to be understood as a real estate company above all. Through a combination of luck (good timing) and clever strategy, the company did unexpectedly well with its AMC listing, doubling in value in just over a year. There is thus immense pressure for Wanda Cinema Line to follow the same path. But the second point is that the Chinese cinema market continues to grow, but the fundamentals remain murky and the outlook troubling. Wanda’s cinema business will pull through any crash or slowdown in the Chinese exhibition market (for reasons we have written about earlier), but the fact that it was not able to get approval for an IPO in its home market is still troubling. Norway: What was once termed “the last Soviet state” on account of its municipality-owned cinemas (Carl Martin Klingberg formerly of CAPA called it that), is now becoming the fierce battle ground between Denmark’s Nordisk (Egmont) and Sweden’s Nordic Cinema Group (formerly SF Bio, which Bonnier sold 60 per cent to Ratos and merged with Finnkino – http://www.bonnier.com/news-press/News/2013/March/Bonnier-and-Ratos-form-new-cinema-business/). The former has now pulled ahead in Norway, following its latest deal, but this is likely to be a protracted battle for dominance, fought out in ever smaller Norwegian towns selling out their cinema businesses to their neighbouring countries. Denmark’s largest cinema chain, Nordisk Film Biografer, has become theatrical market leader in Norway after securing a 49% stake in exhibitor Kinosør. The deal with Kinosør, of the Norwegian municipality of Kristiansand, will see Nordisk purchase a 49% stake of its four theatres, comprising 16 auditoria and 3,321 seats in Southern Norway. Together they sell 500,000 tickets annually. India: More consolidation in the south Indian multiplex sector as HDIL looks to sell its Broadway-branded cinemas to Carnival in a deal valued at INR 105 crore (USD $17.6 million). UK: The World Cup is hitting cinema business in the UK according to figures from Cineworld. The World Cup has slowed ticket sales for Cineworld, as distributors are holding back big releases until after the tournament to maximise potential audiences. The drought of blockbusters in June was expected, but its impact on Cineworld was increased by accompanying good weather. UK and Ireland box office receipts were down 0.6% over the first half of the year, the cinema chain said in a trading update on Thursday. 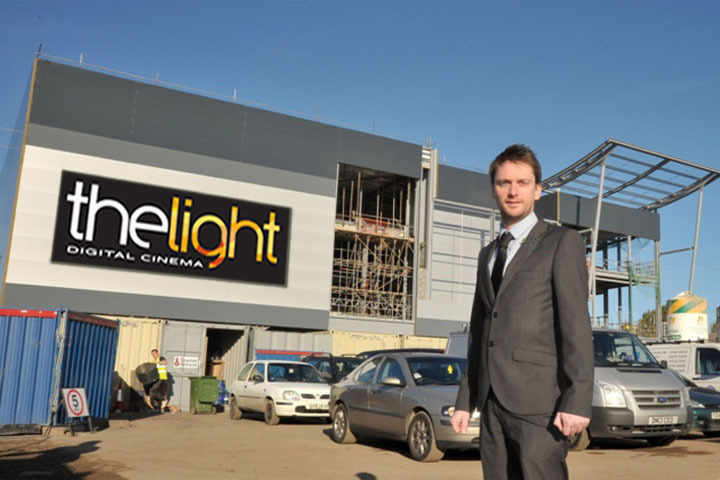 The cinema complex is being planned at Walsall Waterfront with work due to begin in the coming months ahead of a summer 2015 launch. USA: Gaming is coming to the big screen in the US this Independence Day courtesy of Screenvision. India: PVR continues to expand in the western and southern Indian markets with the opening of new multiplexes in Motera (Ahmedabad) and Hubli (Karnataka). Ahmedabad, INDIA:PVR Cinemas, the largest cinema exhibition company in India, today announced the launch of its 5th multiplex in Ahmedabad. There will not be a Daily tomorrow on account of the 4th of July holiday in the US. If you are in the US, celebrate by doing your bit for the cinema business and see a movie (I hear that there are lots of fireworks in “Transformers: Age of Extinction” – not to mention odd Chinese product placements). If you don’t live in the US, go and see a movie anyway. It’s more exciting than the World Cup, trust me.